We all try to look after our eyes as well as we can, so even the slightest sign of something amiss can give us a fright. That’s why eye floaters can be worrying, appearing as black dots, shadows, cloud-like objects or narrow strands in your vision. If you have them, you might spot them in the center of your vision or on the periphery, and they can often appear to be moving. You’ll notice them more when looking at lighter scenes, like a brightly coloured wall or blue sky. The good news? Floaters are almost always harmless (although severe floaters can be distracting and frustrating). However, as with any medical condition, any new symptoms can be a sign of something more serious. If you start to see new floaters, a change in floaters, new flashes of light, sudden loss of vision, or ‘curtains’, ‘cobwebs’ or ‘net curtain’ effects, then you need emergency eye care, either from an optometrist or from A&E (if out of hours). Why do I get floaters? Floaters are simply tiny objects floating around in the liquid that fills the middle of your eyeballs. This liquid, called vitreous humour, is a jelly-like substance made up of about 99% water. Although vitreous humour is naturally clear, small strands of a protein called collagen can float in front of the retina and cast a shadow. It’s these shadows that cause the strange floating shapes in your vision. Floaters themselves aren’t anything to worry about, but we recommend visiting your optician at least once every two years to get your eyes checked by a qualified professional. If you start to see ‘flashing lights’ in your vision, either in the center or around the periphery, you should see your optician or ophthalmologist immediately. This flashing effect can be a sign of PVD, retinal tearing, or in rare cases – around 1 in 10,000 – the early stages of possible retinal detachment, a serious condition that requires immediate treatment. It is, but it can be easily treated if caught early. It’s important to stress that neither floaters or flashing lights in your vision mean you definitely have a retinal tear or retinal detachment. I have floaters – what do I do? 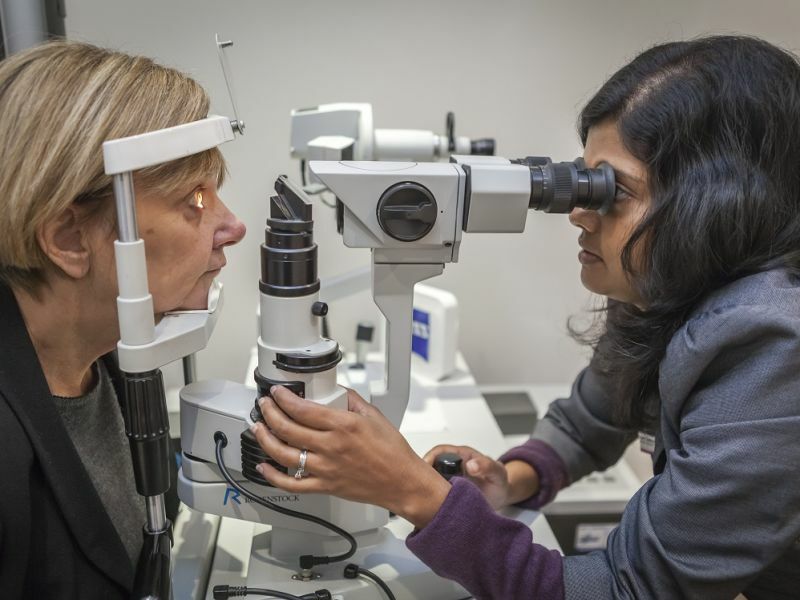 It’s probably nothing more than a mild irritation and unlikely to be anything serious, but it’s best to book yourself in to see one of our qualified opticians and ophthalmologists, especially if you've seen an increase in the number of eye floaters. Find your nearest branch, book your appointment online, or simply give us a call on 0800 40 20 20.